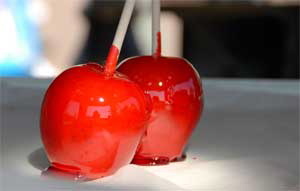 On my first Halloween after I moved to the U.S., it took me at least half a day before I realized there was neither a priest nor a nurse employed at my workplace. I had not understood that (a) Halloween could include any fancy dress costume and that (b) one might wear such attire to work. It is not so in Europe. We limit Halloween party costumes to ghouls, vampires, skeletons, and other spooky folk. You gave us Halloween, in its modern commercial mode. 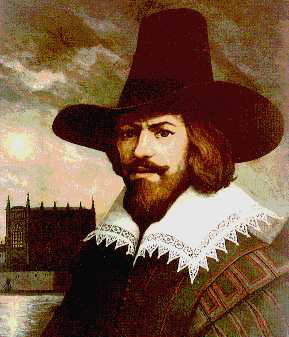 In return, I advocate the celebration of Bonfire Night or Guy Fawkes Night. 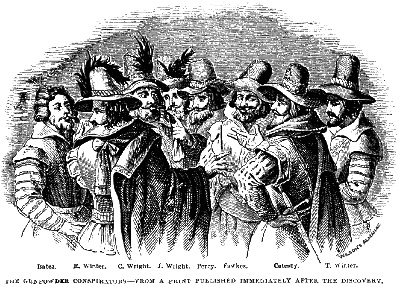 Guy Fawkes was a Catholic who in 1605 tried to blow up the Houses of Parliament with gunpowder and the help of other Catholics. November 5 was the State Opening of Parliament and James I of England/James VI of Scotland presided, just waiting to be blown up. And it’s a pretty great holiday. 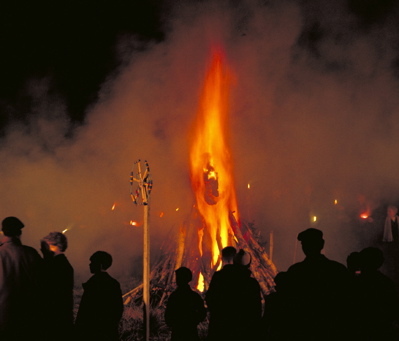 Towns and villages all over England and Scotland and Wales, but not Ireland, build huge bonfires. Children create “guys” – effigies of Guy Fawkes made of old clothes and newspaper and hose. They then collect “a penny for the Guy” to build a fireworks budget. The guys are put on top of the bonfire—and in recent years have tended to be contemporary political figures such as Thatcher, Blair, and other enemies of the people. Leading up to Bonfire Night, there is also a lot of concern for the safety of hedgehogs who make their homes in those nice piles of wood. Ok, it’s anti-Catholic and a little gruesome, but imagine you live in England. By November it’s going dark early and winter is stretching ahead casino online of you. 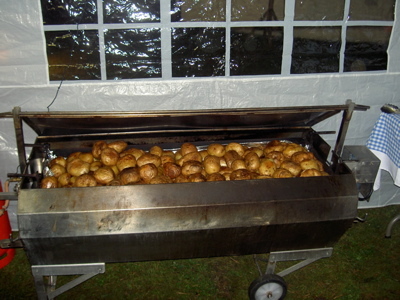 Then, on November 5, you all go and watch a huge bonfire that throws off tons of heat; you eat baked potatoes cooked in tinfoil on the fire; you eat treacle toffee and toffee apples, made with black treacle, which is the best. And you watch a huge firework display. This is the only British holiday that officially uses fireworks. And when you’re older, you make sure you choose a bonfire and firework display at a pub. 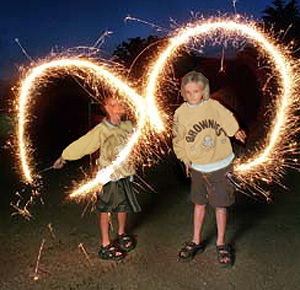 When I was little I loved bonfire night, but was afraid of the loud noises and the danger. Every year the BBC and children’s programs would remind everyone of how many firework-related accidents happen on November 5. However, my mother insisted in stuffing my Wellington boots with crinkled newspaper to stop stray fireworks slipping down my leg. She somehow discounted the fact that if a stray firework landed in my welly on a piece of newspaper that I would go up in flames. But somehow I felt safer. So, why don’t we give it a try? You know you’re itching to make the best Palin guy! we should have “bush burnings” it’d be great. right after election day we would commemorate our crappiest president. and the double entendre with it’s reference to moses would get the christians all excited. Great idea, Lane. Your rooftop? I had a Canadian friend in grad school who was into Guy Fawkes’ Day. We had a bonfire one year. Pretty fun. How did we all survive our childhoods? BTW “if stray firework landed in my welly” is my new favorite phrase. We had a puppet of old clothes sewn together and stuffed with old newspapers. He even had a pantyhose head, which I always thought was hilarious. Of course, his name wasn’t Guy or Thatcher or Blair. His name was Bubba. And he was out in a chair outside for Halloween night, not out on a stake covered in fire on November 5th. And the had a cowboy hat. There you have it – all you need to know. It is the 5th of November and I keep remember, remembering that photo of the treacle toffee above. It has sent me foraging online and will soon send me foraging into shops, either for the toffee itself or the black treacle to make it with. 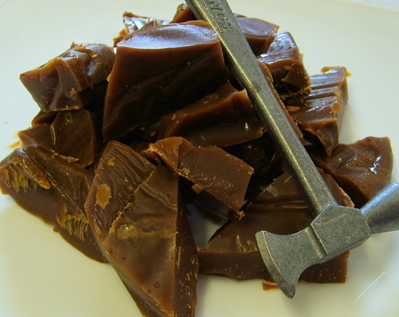 Perhaps it shall become enough of a regularity for me to need a toffee hammer!